Colwyn Bay Townscape Heritage Initiative attended the second Pensioner’s Day in January; this event is run annually by David Jones MP as a way to bring services relevant to people of pensionable age together under one roof, to make the information accessible and provide an opportunity to learn more about what’s on offer in the community. 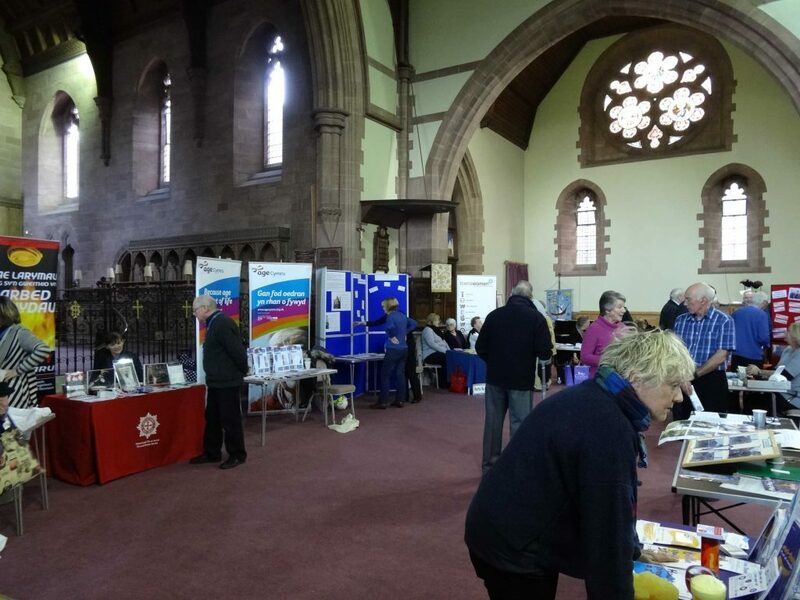 Pensioners, along with their families and carers were invited, and could talk to representatives from services such as the Police, the Fire Service, the Warm Homes Nest Scheme, Scottish Power, and Conwy Walks among others. Colwyn Bay THI provided leaflets about local heritage opportunities, and invited people to add their memories to the Colwyn Bay Memory Wall as part of the recently launched Colwyn Bay Scrapbook project.